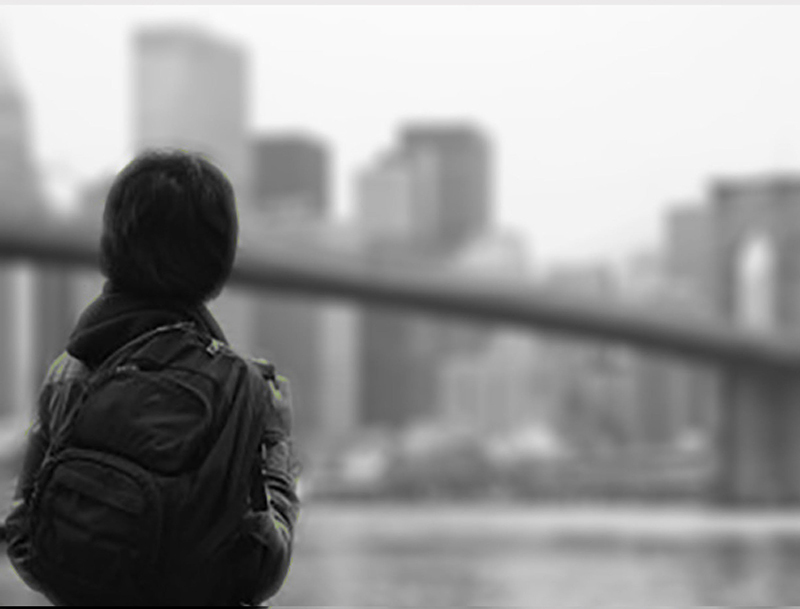 In New York City, a staggering number of young adults are out of school, out of work (OSOW) or in low paying jobs. Many supplement with government aid in order to live, with little incentive or motivation for career advancement. Despite the City’s dedicated policies and investments in youth workforce development, only a portion of their programs address these OSOW young adults. Without developing the knowhow or means to change their circumstances, income immobility will become an escalating problem with ripple effects harming the City’s economy for years to come. Jako Borren, Director of Program Operation at Bedford Stuyvesant Restoration Corporation, the nation’s first community development corporation, identifies key deficits, missed opportunities and negative effects of the prevailing ‘transactional’ youth program model. How can we empower the 35 Percent of young adults in New York City who are out of school, out of work or in low paying jobs to catalyze their own future? Restoration’s Youth Program participants and Program leaders for educational initiatives. Public policy makers have fallen short in addressing the specific challenges of this demographic, particularly in the New York City workforce system created under Mayor Michael Bloomberg’s administration. Although City agencies involved in youth programs serve some 40,000 young adults each year, only a fraction of the 35 percent are reached. Moreover, these programs are fragmented. The agencies do not sufficiently coordinate among each other to create synergies or help to generate awareness of the services they provide for young adults seeking assistance. The agencies also lack a strong connection with employers, creating a disconnect between how programs are set up, the training and services they provide, and what employers seek in a job candidate. In the process, they ignore key considerations like career development and supportive services needed by both the employee and the employer to meet the intended goals of job retention and career advancement. However, the main limitation involves the workforce system’s almost exclusive focus on job placement. This not only funnels a high number of young adults into low wage jobs with high turnover and limited prospects for growth; it presents unintended consequences for the 35 percent. 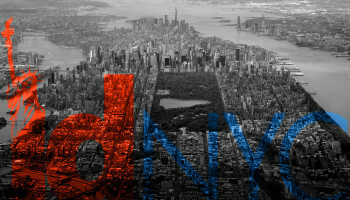 As The Center for Urban Future, a think tank highlighting the critical opportunities and challenges facing New York City points out in Bridging the Disconnect 2014, City agencies deliver job placement services through the help of non-profits. However, the non-profit placement service providers are rewarded by the number of transactions in jobs filled, which incentivizes them to focus on recruiting young adults who are likely to succeed. By focusing on quantity, this ‘transactional’ model leaves those who need the support the most even more disenfranchised. 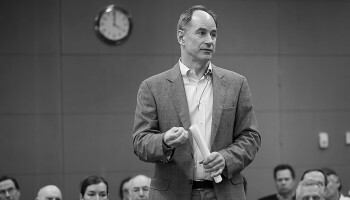 Community organizations, those with experience on the ground, have proposed a number of improvements to the transactional model. 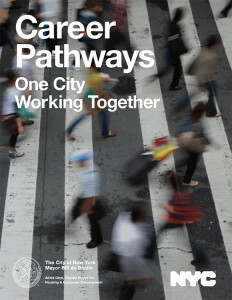 The Center for Urban Future recommends creating a detailed overview guide of all workforce programs, utilizing the Workforce Investment Board (WIB) to facilitate closer collaboration between city agencies, restructuring agency incentives and contracts to improve service delivery, and leveraging the 70 Business Improvement Districts (BID) across the city to link small businesses to workforce programs. 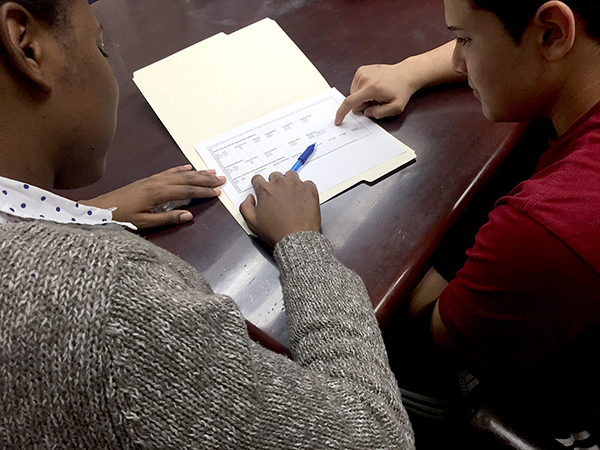 JobsFirstNYC proposes to implement Youth Opportunity Centers that would work to address the specific needs and barriers to job opportunity of the 35 percent, such as insufficient work experience, absence of a high school diploma or equivalent, lack of specific training or household situations such as child care. The Opportunity Center model would serve as a one-stop shop for all participants and employers in a sector wide approach to education, training and career development. In both cases, The Center for Urban Future and JobsFirstNYC focus on leveraging a strength-based collaborative approach, with comprehensive programming that better integrates the expertise, capacities and coordination of a network of youth development partners. Mayor Bill DeBlasio’s current administration is beginning to work with transformative policy strategies to engage young adults. Much of the strength-based collaborative model has been adapted into the newly designed workforce system introduced last year. The most ambitious policy initiative to address this crisis yet, Career Pathways focuses on quality of careers instead of quantity of jobs. 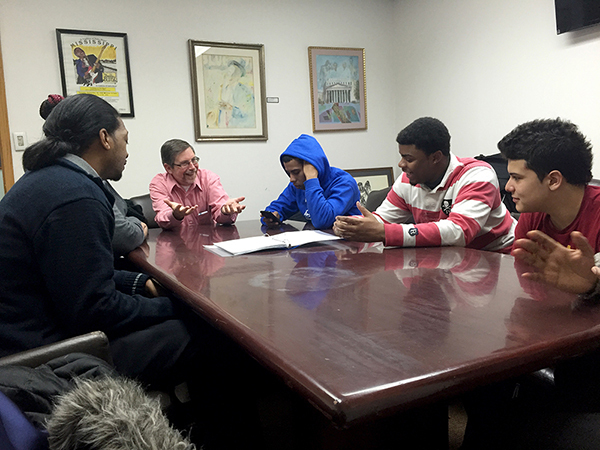 It not only addresses the needs of young adults, but also targets the City’s underemployment challenges as a whole. 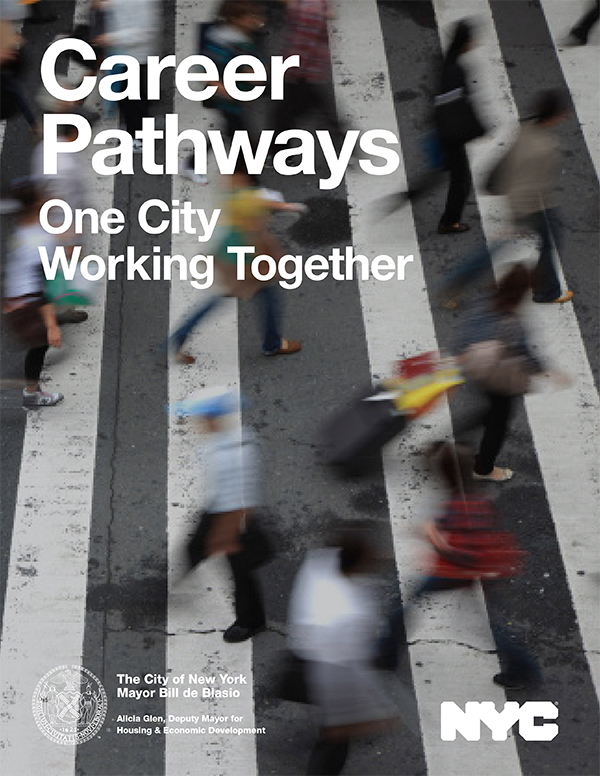 With nearly a million working New Yorkers earning less than $20,000 per year, Career Pathways aims to tackle the shortage of skilled workers in industries such as healthcare, technology and manufacturing. System-wide Career Pathway’s framework seeks to aligns education and training with specific advancement opportunities for a broad scope of jobseekers. Across agencies the focus shift is to career development not job placement with sector-focused bridge programs, creating job relevant training and work-based learning opportunities. Career Pathways supports career advancement and income mobility by specifically addressing educational needs and skills development. The initiative ensures that employers can nurture the talent in young adults at risk by launching industry partnerships with funding for training and bridge programs. These programs include expanding college preparedness programs in high schools and vocational training opportunities to prepare youth and adults for a wide range of high-wage, high-skill and high-demand careers. Career Pathways also improves the quality of low-wage jobs by rewarding good business practices, expanding access to financial empowerment resources for employees, and further increasing minimum wage. This multi-faceted program will require significant organizational and operational changes by all parties involved. City agencies and non-profit services will need to work closely together to create systems that uniformly track progress and measure outcomes of all stakeholders without encumbered bureaucracy, particularly around industry partnerships. If they succeed, this policy initiative can re-orient the fabric of the City’s workforce support structures around career quality for the 35 percent. why do young adults not take advantage of the free training opportunities and services that are already available to them? How do you inspire young adults to participate, and how do you keep them engaged? Still unacknowledged is that many OSOW or underemployed young adults are in these circumstances not simply due to insufficient skills or lack of education. Often, their social and emotional state impedes them from career advancements. Tangible patterns continue to be ignored – events and circumstances related to unstable household situations, school bullying, delinquency or dropping out, issues with the justice system, emotional or physical abuse, despair and hopelessness, substance abuse or lack of trusted support to name a few. As the young adult in the introduction illustrated, their minds are distracted by more immediate concerns, with little impetus or hope that things will improve. While a number of supportive services exist such as financial coaching, Food Stamps (SNAP), affordable health care and child-care to help create a more stable economic foundation for young adults, sadly more is needed. Young adults out of school and out of work, and the unemployed and underemployed in general, need strong mentoring, coaching and proper guidance that will instill hope, spark inner passions and inspire a sense of ownership in their choices. Only after reshaping programs around the deep-rooted concerns and real circumstances that face young adults will workforce programs be able to help them advance. This requires a fundamental shift of the policy frame. Rather than work to build from the outer support structures in, programs must design from the human experience out. They must reshape mind sets away from young adults as individuals who need treatment to young adults who have the inherent potential to unlock possibilities in their own future. To do this, workforce programs must leverage tools that address and overcome the social and psychological reasons behind the economic decisions of young adults. 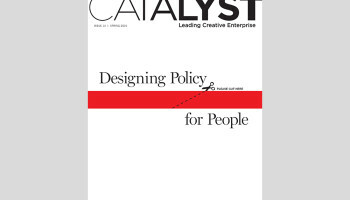 By combining insights from other disciplines, such as life coaching and behavioral economics with a fundamentally human-centered approach, City agencies can address the root causes of economic mobility as opposed to simply providing job placement. Integrating this into the core of a strength-based collaborative approach would allow City agencies and service providers to collectively shift from a transactional design of youth development to one that is truly transformational. Best of all, it would empower the 35 percent as catalysts of their own transformation, inspiring a deep confidence and sending a clear message that they are as valuable as the other 75 percent in creating economic opportunity for all. Rather than work to build from the outer support structures in, programs must design from the human experience out. Only after reshaping programs around the deep-rooted concerns and real circumstances that face young adults will workforce programs be able to help them advance. Born and raised in The Netherlands, Jako Borren studied at the University of Groningen, where he received his MBA with a specialization in financial management. 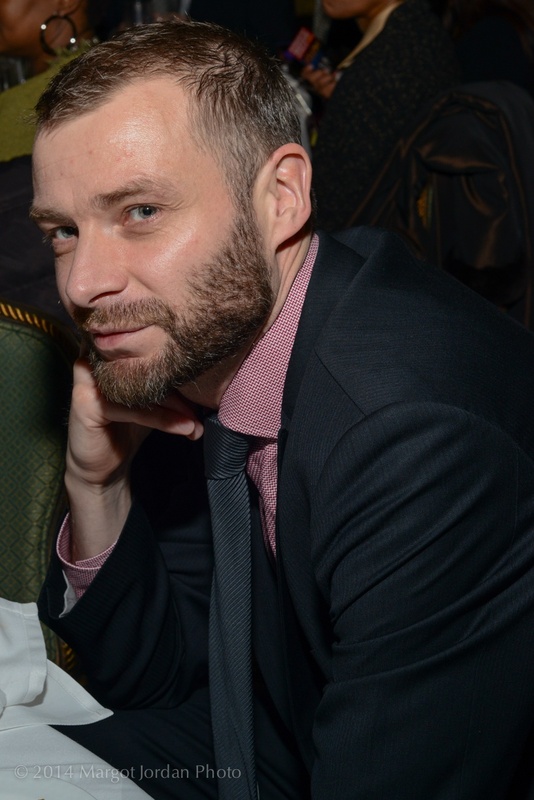 For eight years, Jako worked for ABN AMRO Bank as a Business Analyst and Project Manager in business development. He also served on the board of Pure South, an association dedicated to improve the well-being of underserved residents in Amsterdam. In 2005, Jako moved to New York to earn a Master of Professional Studies in Arts and Cultural Management at Pratt Institute. Jako joined Bedford Stuyvesant Restoration Corporation (BSRC) in 2007. BSRC is the country’s oldest community development corporation, originally founded by Robert Kennedy, serving a marginal population in the community. Jako began at BSRC as a consultant in arts administration before moving on to oversee outcomes management across the organization. He now heads the Workforce Development arm of Bedford Stuyvesant Restoration Corporation as Director of Program Operations. Under his leadership a team of nearly 50 employees develop and implement workforce and asset building initiatives focused on youth development, financial literacy, employment service and other social services for residents of Bedford Stuyvesant, Brooklyn.